If you need a new mobile phone and a new laptop then you will be please with the latest offerings from “The Link”. They are offering you a free Nokia 6500 slide mobile phone and a refurbished to new Advent 9112 Laptop PC which is all part of the mobile phone packages. The Nokia 6500 Slide handset is pretty elegant when you look at it and with its black stainless steel casing you will get pure quality in your hand. We say that the Nokia 6500 Slide is basically a sliding version of the 6500 classic which was released at around the same time of each other, but it has to be said in terms of function the two phones are pretty different. The 6500 slide features a superior set of features to the smaller classic with a 3.2 megapixel camera with Carl Zeiss optics, autofocus, dual LED flash, better quality video recording, TV out facilities, expandable memory, video calling support, FM radio, and a slightly larger screen. Photos of this mobile phone below. This amazing new mobile phone package includes the Nokia 6500 Slide in Black Orange Pay Monthly Phone and the Advent 9112 (Refurbished) Ultra Portable Laptop PC, the laptop features Intel Pentium Dual Core T2310 Processor, (1.46 GHz, 533 MHz FSB, 1 MB Cache), Genuine Windows Vista Home Premium, 2GB Memory and 160GB Hard Drive. 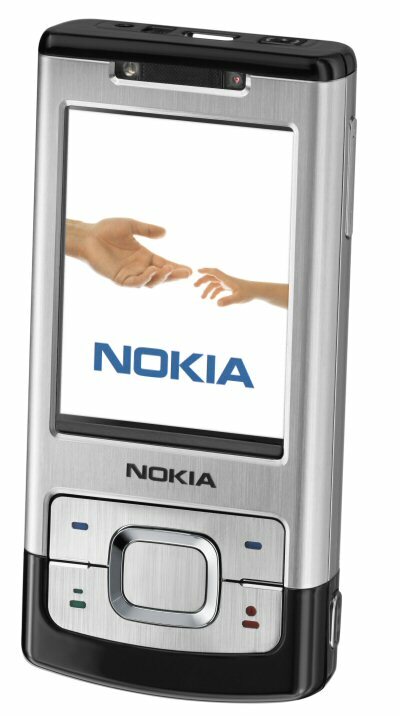 Check out what our readers had to say about the Nokia 6500 Slide — Readers Comments. Next article Next post: Apple iPhone 2.0 Gold Master Firmware possible available on Friday?